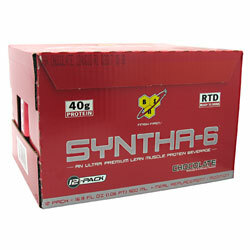 BSN Syntha-6 RTD On Sale! 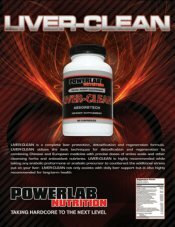 » Multi-Functional Ultra-Premium Protein Matrix. 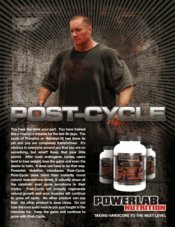 BCAAs and other Essential and Non-Essential Amino Acids. 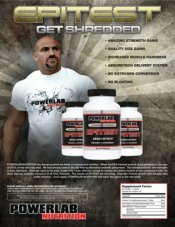 MCTs, Essential Fatty Acids, Glutamine Peptides, and Fiber. Aspartame Free. 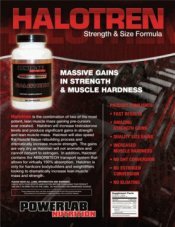 Stack with Volumaize and Atro-Phex, for maximum physique and performance impact. » Any individual who wants an ultra-premium protein beverage to help them reach their nutritional and physique goals. 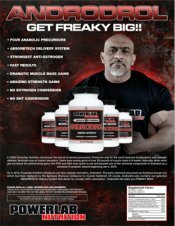 Ingredients: Protein & Amino Acid Matrix Comprised of (Milk Protein Concentrate [Milk], Whey Protein Concentrate [Milk], Calcium Casinate [Milk], Milk Protein Isolate [Milk], Whey Protein Isolate [Milk], Micellar Casein [Milk], Egg Albumin [Egg], and Glutamine Peptides [Wheat]), Maltodextrin, Cocoa (Processed with Alkali), High Oleic Sunflower Oil, Crystalline Fructose, Medium Chain Triglycerides, Natural and Artificial Flavor, Microcrystalline Cellulose, Soy Lecithin [Soy], Potassium Citrate, Magnesium Phosphate, Sodium Hexametaphosphate, Potassium Chloride, Sucralose, Sodium Chloride, Carrageenan Gum, Xanthan Gumm and Acesulfame Potassium. Recommended use for Males: Drink 1 serving, 16.9 oz daily to increase your protein intake or as needed to satisfy your protein or muscle enhancing requirements. 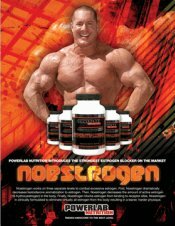 Recommended use for Females: Drink 1 /2 serving, 8.45 oz daily to increase your protein intake or as needed to satisfy your protein or muscle enhancing requirements.